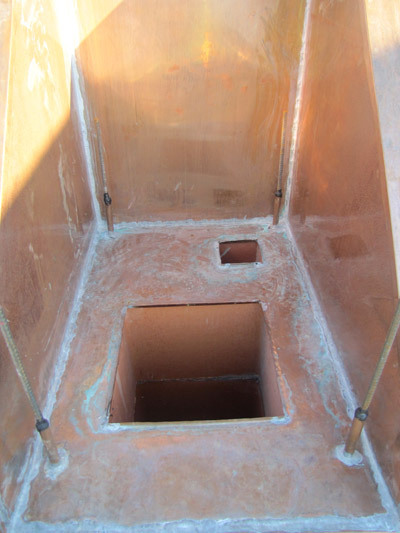 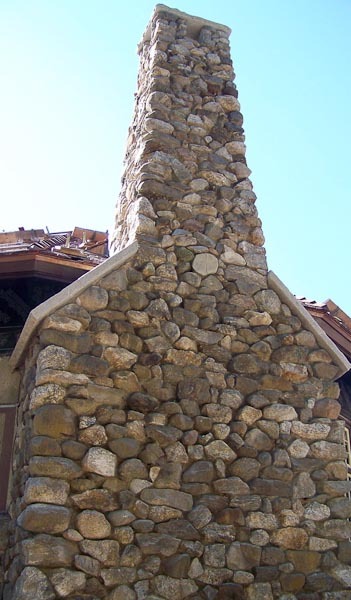 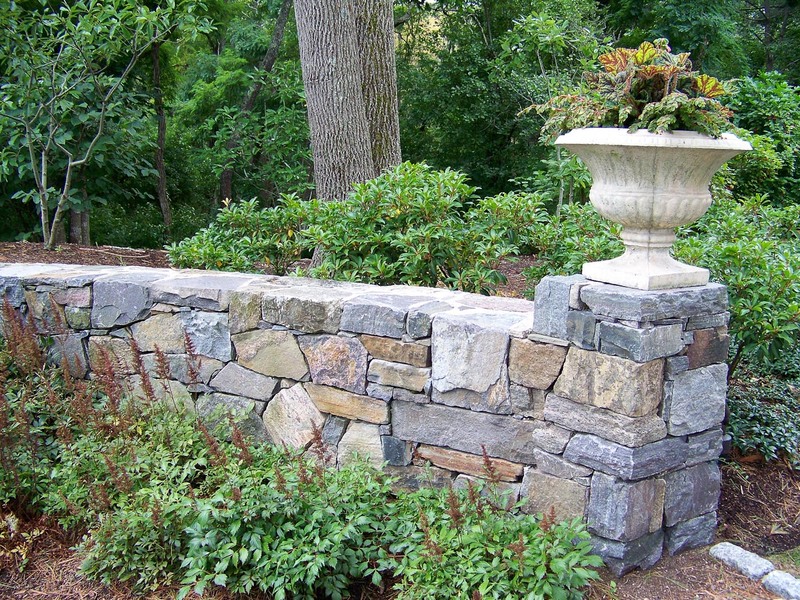 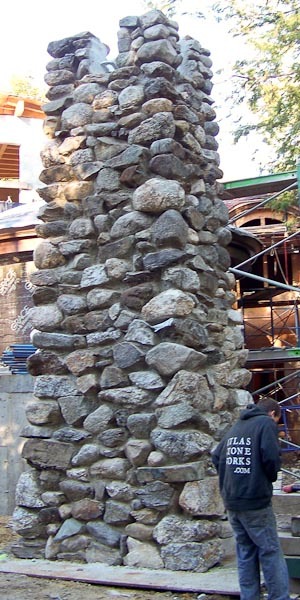 Atlas Stoneworks pre-fabricates its custom stone chimneys and fireplaces. 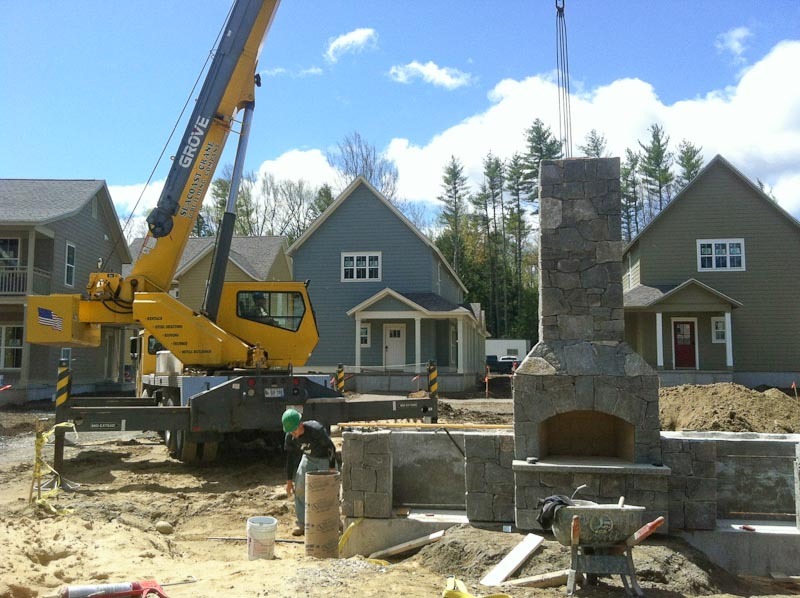 Modular construction allows us to install residential fireplaces and chimneys from footing through roof in a matter of hours, not days or weeks. 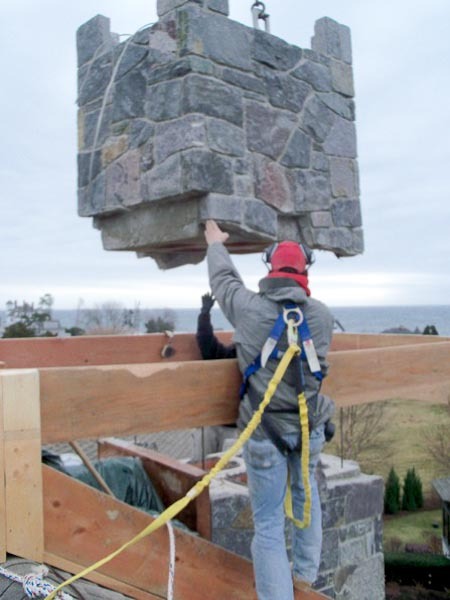 Ultimately the longevity of any exterior masonry is determined by weather during construction: cold, heat, rain and wind reduce curing time, thereby reducing strength and longevity. 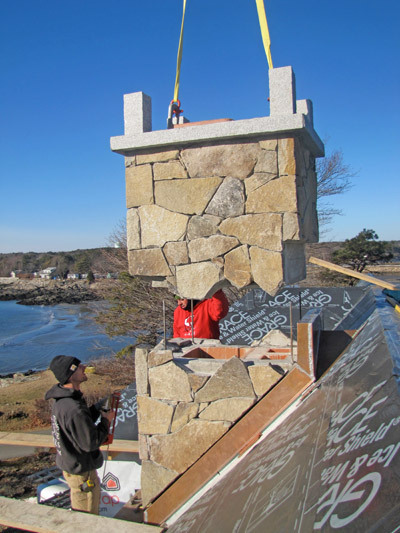 We avoid both labor and energy intensive efforts to shelter and otherwise protect structures from New England’s highly variable elements by building indoors. 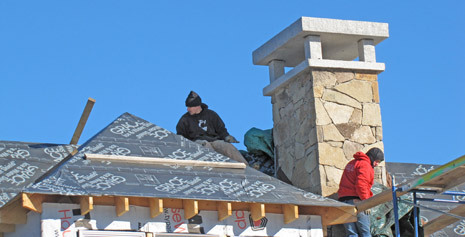 Maintaining temperature and humidity at ideal levels for the required 28 days ensures perfect curing and bonding so that our clients receive a product that is the epitome of strength and endurance. 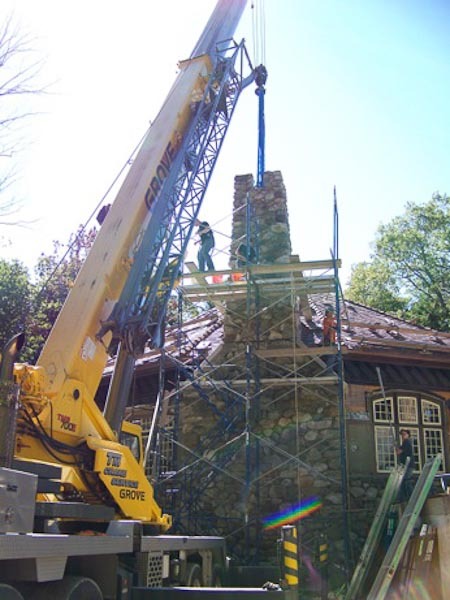 All the masons, vehicles, equipment, piles of materials, scaffolding, dust, noise, and other hazards that normally accompany masons are off-site, contained within our shop. 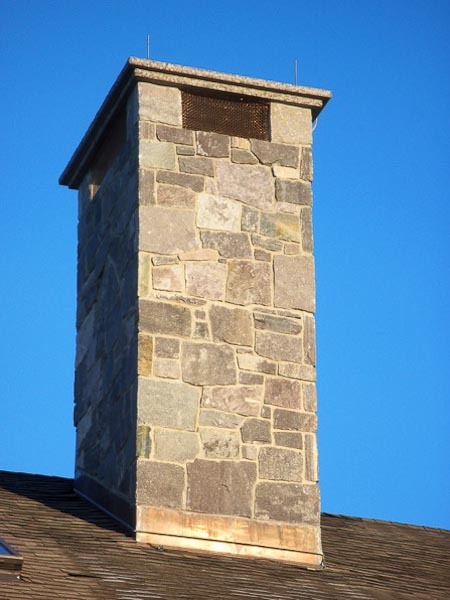 Priced competitively with standard chimneys built on-site, we deliver maximum quality in minimal time. 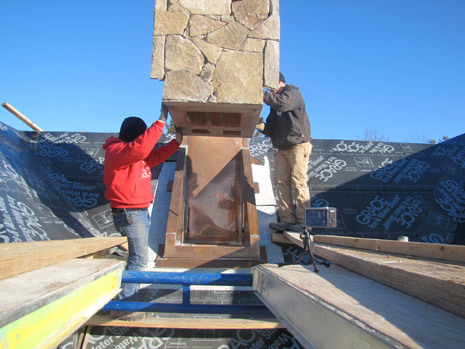 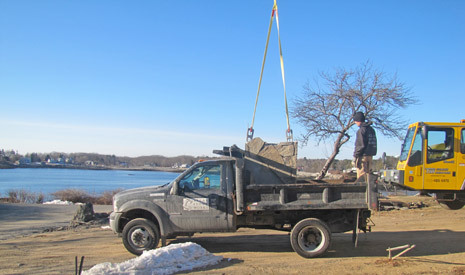 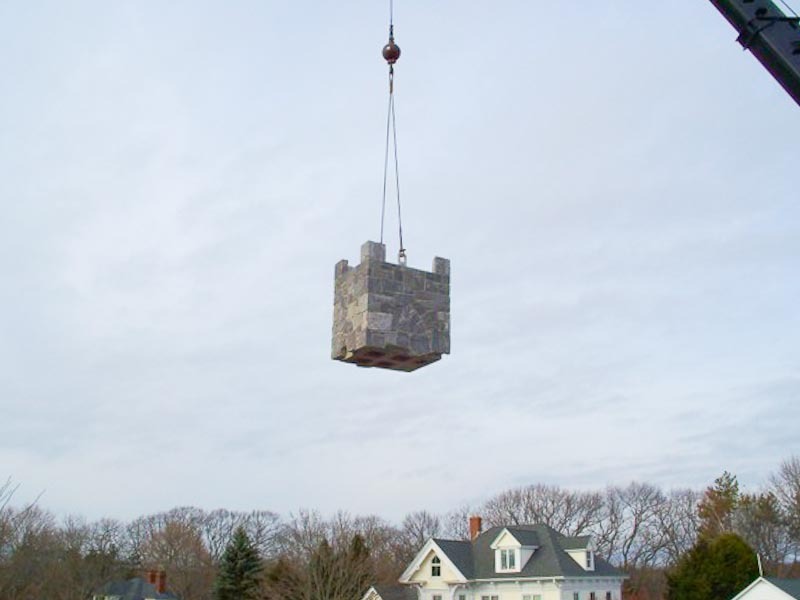 The first six photos below are a series of photos showing the process of installing a modular stone chimney on a home in Cape Neddick, ME. 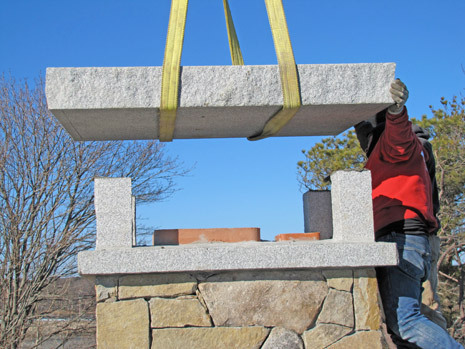 Total installation time: 1 hour 30 minutes.